Book: The Messages of Holy and Divine Love Volume 1. 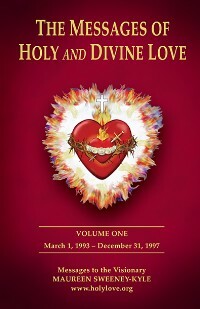 This first volume of The Messages of Holy & Divine Love begins with March 1, 1993 and continues through December 31, 1997. 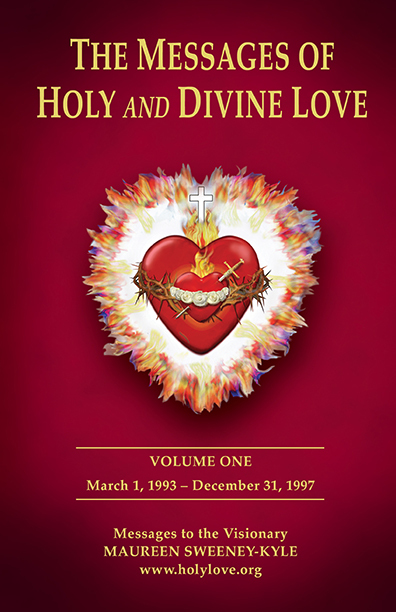 It covers the humble beginnings of Holy Love Ministries and Maranatha Spring and Shrine; the start of the devotions to the United Hearts and to Mary, Refuge of Holy Love; the Secular Order of Missionary Servants of Holy Love; the vision of the Rosary of the Unborn; and much more. Heaven has repeatedly stressed that we should read, study, propagate and live the Messages of Holy Love. This compelling compilation of Messages can be easily read, studied in-depth, and be utilized as a reference for years to come. Front cover measures 5.5 in. x 8.5 in.